Though it has a very common oriental theme, it is no short of any beautiful slot games that have been developed so far. Red Tiger Gaming has perfectly developed Lion Dance much strikingly without any grids, unlike its counterparts. Savour a visual treat in this slot with its bright red and orange colours throughout the gameplay. Asian music in the backdrop is soothing to the ears. You can play this slot starting from 0.50 to 200 coins in a wide range of pay tables available. With 5 reels and 40 paylines, this game tests the luckiest player of the lot. Two dragons by the side of the game window include a red lantern, a cymbal and a drum symbol as most rewarding payouts. Lower symbols are in a Chinese calligraphy, which are A, J, Q, K and 10. The wild of this game is a yellow mighty lion that doubles while landing on a winning line apart from being a substitute to all other symbols. Aligning 3 or more free spin symbols trigger a lion dance and end up in one of the following 4 in 1 special features. A wild can trigger up to a whopping 10,000 payouts in the game. Free spins come with an extravagant firework which adds to the beauty of the game. By triggering free game icon, the slot gives 4 in 1 bumper offer to you. Connected Tiles World– Winning clusters can be formed here when one symbol connects to the other by forming a chain. Mystery Symbol World– You will receive raining coins in the reel. Beneath the coins may be a tile or a symbol that can be a boon. Deep Stacks World-This modern name stacks the reels on higher symbols and leads to more payouts. Oodles of tradition infused in this game tantalize the players to play again and again. Lion Dance certainly has the potential to win the players’ interest with its dancing lions and attractive pay tables. A mini tour to China can be taken in this slot game. Attractive goodies and enchanting colours of cityscape-themed Lion Dance is a definite charm for many. 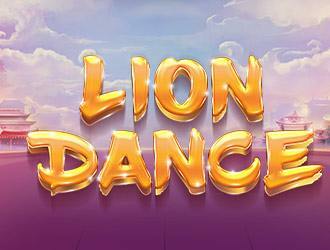 Grab a chance to end up with the dancing lions on this beautiful journey.